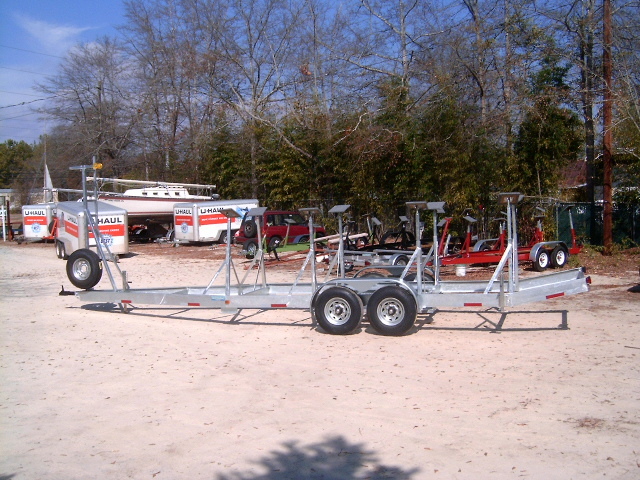 Buy a 12,000Lb GVWR Tandem trailer from a reputable builder. I checked with four different builders, one in Maine, two in Maryland and one in Georgia. "Nice picture of # 1 We offer our trailer over built, and custom to each boat. To copy someone else's design will take much more time and something my fab guys wont do. What in our design is not as you want? If the trailer shown is what you want why not order that one? 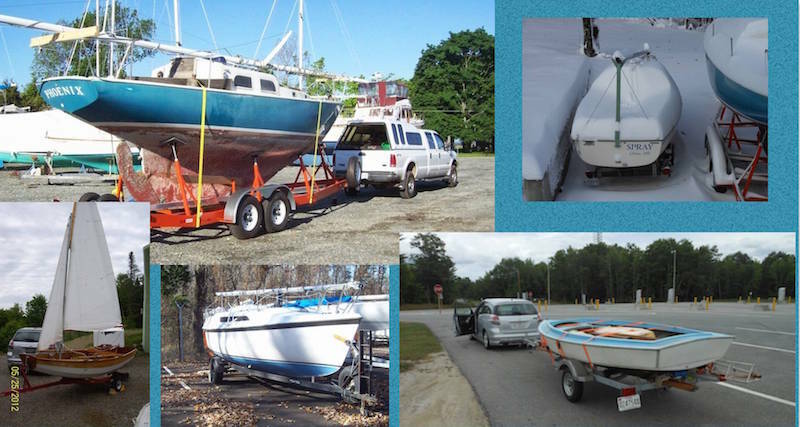 I don't what to deal with someone who won't/can't write a simple spec sheet so I gave up trying to buy local and keeping money in Maine and contracted with Sail Trailers of Georgia. Since we're wintering in Florida it is really no big deal logistically which builder I selected, and since Sail Trailers built a trailer for James Baldwin's Atom, I feel they are probably a safe choice. The differences from Atom's trailer are a reverse Dovetail and my color choice is a bright Orange for high visibility. Here is a picture of the reverse Dovetail. I added this feature since our driveway has some steep departure angles. 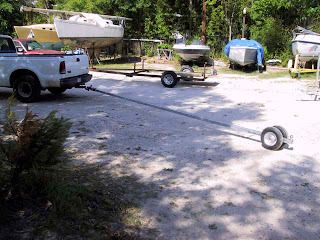 And this is a picture of the 24ft "Super Extension" w/Mini Axle. 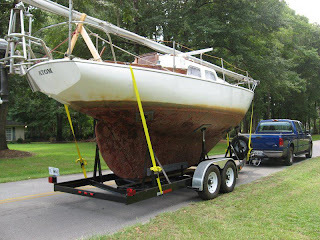 The next step is equipping our F250 to tow the approximately 10,000Lb combined trailer/boat weight. Fortunately our truck is equipped with a factory Class V hitch rated at 12,500Lb WD and 6,000Lb Carry. So a new Weight Distributing Hitch and electric brake controller and I'm good to go!